Sound effect - wav Waah! 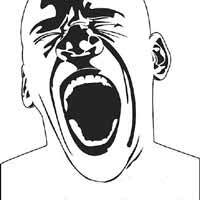 Human voice that screams "Waah! Ha ha!" Sound of Waah! Audio effects for video and animations Waah! for smartphone or mobile phone Waah! Human voice that screams "Waah! Ha ha!"